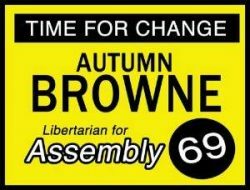 OC Politics Blog | Revenge has driven Amezcua ally Barragan to run for the 69th A.D. I know this guy Barragan quite well. I ran into him back when I was the editor of the Orange Juice blog. He impresses you at first – he has a slew of certifications and titles and he brazenly calls himself the “Commander” of a local Latino veterans organization. Then he gets to talking. I invited him onto my Orange Juice radio show and good grief did this guy like to hear himself talk. It was stultifying. It is pretty obvious that Barragan is jumping into the race for the 69th in order to get back at Santa Ana Councilwoman Michele Martinez, who offered to stay neutral in the 2010 mayoral race – but Amezcua kept pushing and eventually she made her peace with Pulido – as did I. Barragan is running in order to dilute the Santa Ana vote and directly hurt Martinez. The irony is that by doing this Barragan is ensuring that no one will ever take him seriously again. He could have run for the Santa Ana City Council or the Santa Ana Unified School District’s Board of Education. Instead he is doing his level best to deprive the people of Santa Ana of the opportunity to be represented in Sacramento by a native of Santa Ana. Just who is Barragan? Who really knows. He told me that he lived in San Francisco for years. You can read his limited bio over at the UMAVA website. 1) Rather than having HIGH taxes on NARROW activities, we have the opportunity to consider BROADENING the base more fairly and LOWERING the tax rates, which will help businesses grow, and which should result in more jobs. It is expected that these LOWER tax rates will encourage investments INTO California by individuals and corporations. 2) There has been a shift in economic activity from GOODS to SERVICES and the rise of ONLINE sales from OUT-of-state merchants. a) Thus, we should consider taxing taxing OUT-of-State Services, (so we don’t affect IN-state services sector). b) We should also explore taxing ONLINE sales. Since there has been a greater shift to a service economy we can have greater stability as the service economy continues to grow. 2) Also, it is NOT only about Increasing Revenues and Cutting Expenditures. It is about SAVING MORE and INVESTING MORE by IMPROVING what we have, and this is what the Governor and the Legislature need to focus on. Barragan must not read the papers much. “Saying it would save existing jobs and create new ones, Gov. Jerry Brown signed into law legislation to require Amazon.com and many other out-of-state Internet retailers to collect sales taxes on purchases by California customers,” according to an article published in the L.A. Times last September! Although the bill, AB 155 by Assemblyman Charles Calderon (D-Whittier), takes effect immediately, it doesn’t require that sales taxes be collected from Californians until Sept. 15 of next year. The delay was part of a compromise put together by Amazon with representatives of national retailing chains, including Wal-Mart Stores Inc. and Target Corp., as well as local, independent store owners. This guy clearly is not ready for prime time. He is a rank amateur in politics and as a candidate he is a joke – but the joke will be on the people of Santa Ana if Barragan costs Martinez a victory in the open primary. The other candidates, socialist union hack Julio Perez and career political hack Tom Daly are horrible – and they both hail from Anaheim. Martinez is the only candidate who is at all moderate and who can be a role model to young people in our city. And Barragan? He barely announced his candidacy and he is already calling for new taxes – and redundant ones at that. Like Amezcua, Barragan is destined to fail, but at what cost? « Will Mansoor’s political career end in the 74th A.D.?